My wife made some of these a few weeks ago...they are amazing! Then again, just about anything with bacon would be, right? Open up dates gently with a knife. 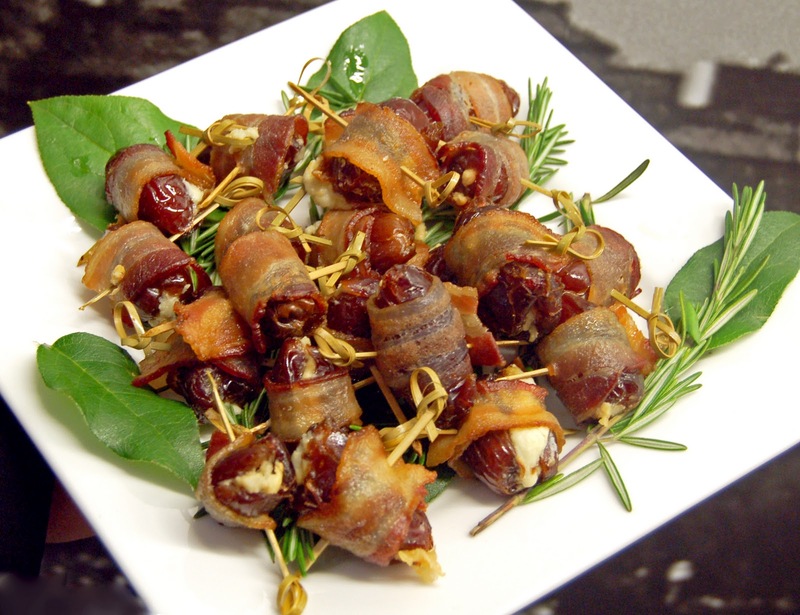 Stuff each date with an almond, and wrap with half of a bacon slice. Secure with a toothpick if necessary. Place on a shallow baking sheet and bake, bacon seam down, for about 7 minutes. Flip and bake for another 7 minutes or until bacon is crispy. Serve warm or cold, and store leftovers in the refrigerator.